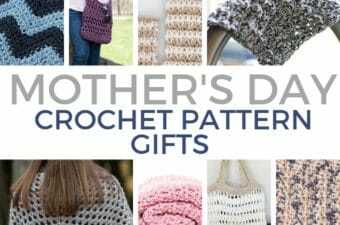 If you have been searching for some EASY but beautiful crochet baby blanket patterns then you have come to the right place! 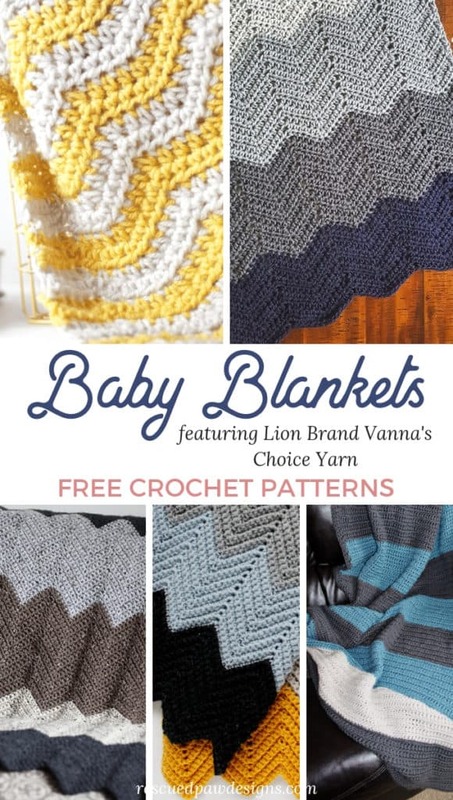 Below you will find 7 crochet blankets for baby that all use Vanna’s Choice Yarn by Lion Brand. Read on down to get started today. Vanna’s Choice by Lion Brand is a wonderful acrylic yarn that holds up to a lot of wear and tear. Believe me with three kids and 2 dogs my blankets get used a lot and the ones using this yarn have held up great. 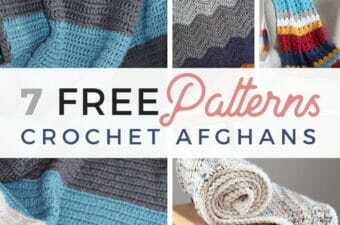 It is a worsted weight 4 yarn and comes in over 30+ colors! 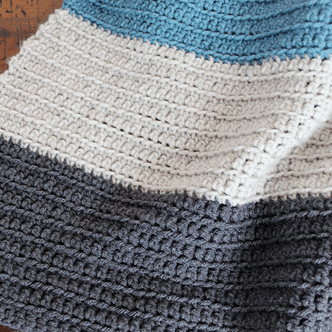 This crochet baby ripple blanket is easy to work up with it’s simple stitch repeats. Vanna’s Choice Yarn from Lion Brand in Linen and Mustard are featured. 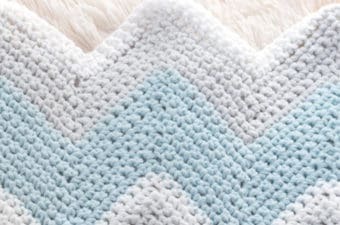 You’ll love easy this ombre blanket is to crochet and how the basic stitches create such a pretty wavy design. Yarn Colors used were Vanna’s Choice Silver Blue, Linen, Navy, Silver Heather, Silver Gray, Charcoal Gray and White. 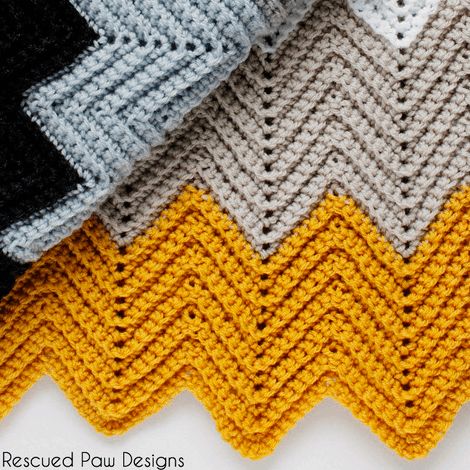 This crochet chevron baby blanket is made with just single crochets which makes it perfect for a beginner crocheter! Vanna’s Yarn colors used were dark grey heather, oatmeal, grey marble and barley. 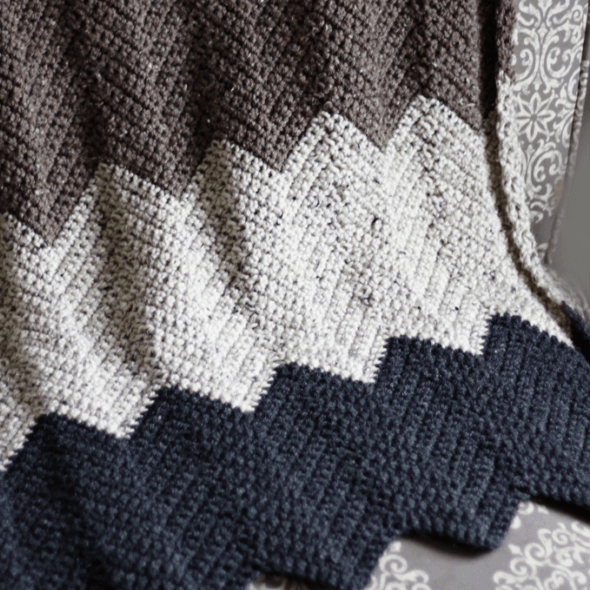 This baby chevron afghan is created by crocheting in the back loop in every stitch of the project! If you love chevrons but want to try something a little different then this may be it! Lion Brand Yarn colors featured are Mustard, Linen, Silver Blue, Dark Grey Heather, Light Gray Heather, & White. 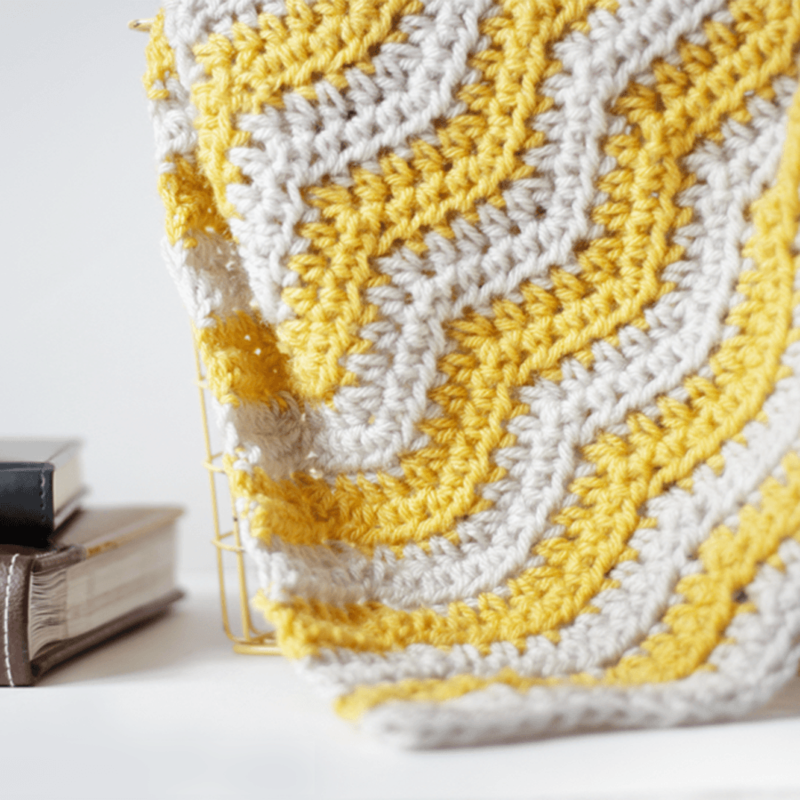 Looking for an easy go to project to use up that Vanna’s Yarn? 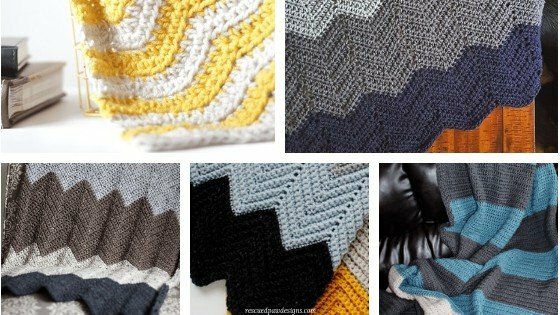 This striped color block baby blanket is it! 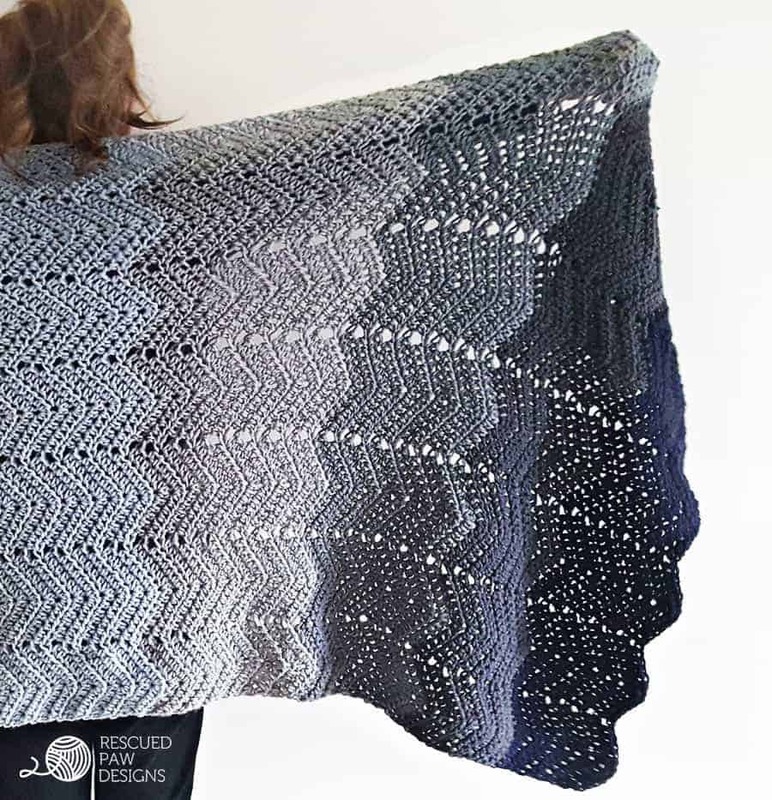 Yarn Colors from Lion Brand Vanna’s Choice used are Dusty Blue, Charcoal and Linen. 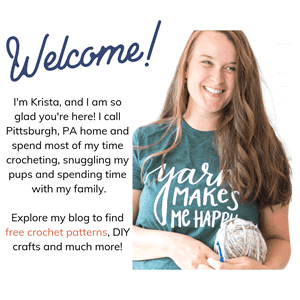 Don’t miss out on NEW crochet patterns and posts!